Thai Airways said on Thursday it expects to return to profit earlier than expected in the fourth quarter and would cut 1,500 jobs this year as part of a restructuring plan at the troubled national carrier. The loss-making carrier also said it would shed more than a quarter of its full-time employees by 2018, the first major job cuts announcement since the restructuring was approved last month. Thai Airways had previously said it planned to cut costs and prioritise certain routes to return to profit as soon as the middle of next year. 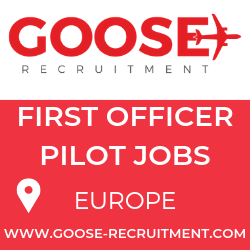 The airline, which employs 25,000 people and another 5,000 in subcontracted staff, was singled out as the first state enterprise to undergo reform by Thailand’s military rulers who took over in May from a government accused of corruption. 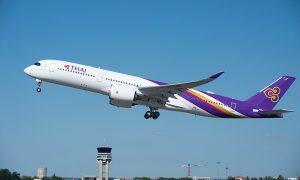 “We expect to see profit in the fourth quarter,” Air Chief Marshall Prajin Juntong, chairman of Thai Airways and head of the military government’s economic affairs, told reporters. The airline aims to cut operating costs by 4 billion baht ($125.6 million) and increase revenue by 3 billion baht, Prajin said, helped by an increase in the number of passengers flying to Thailand as the political unrest subsided. 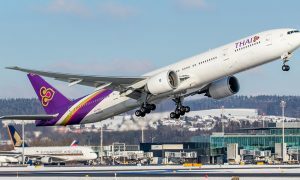 “The recovery plan will take root over the next 2-3 months and we will see in the next five years that Thai Airways will return to become a world-class carrier once more,” he added. Thailand’s tourism industry took a hit from the months of street protests that helped lead to the ouster of Prime Minister Yingluck Shinawatra. Even though the airline expects to benefit from an anticipated increase in tourists during the year-end holidays, it still expects to report a slightly wider loss for 2014 compared to it 12 billion baht loss a year ago, Prajin added. “Profit is less than targeted due to the lower number of passengers,” he added. Thai Airways has racked up four quarters of losses partly due to high operating costs. 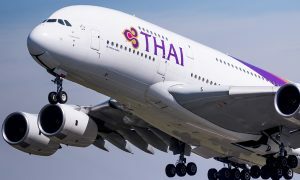 Shares in Thai Airways declined 3.11 percent on Thursday following the announcement. Brokers said the drop was due to investors cashing in on the 7.5 percent surge in the company’s stock after the restructuring was announced.